Please note there is a delay on the delivery of this product. Any order containing this product will be dispatched by 6th December. Known as the ‘maneki-neko’ in Japan, the ‘lucky cat’ or the ‘beckoning cat’ is a talisman believed to bring good luck to its owner. The cat will generally have its left or right paw raised with its palm facing down. 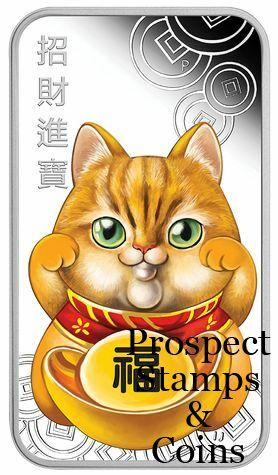 It is said a lucky cat with both paws raised will invite protection of the owner’s residence or place of business. Cats of a golden colour are believed to bring wealth and prosperity. 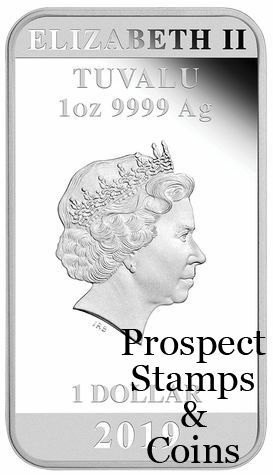 Struck by The Perth Mint from 1oz of 99.99% pure silver in proof quality, the coin is issued as legal tender under the authority of the Government of Tuvalu. 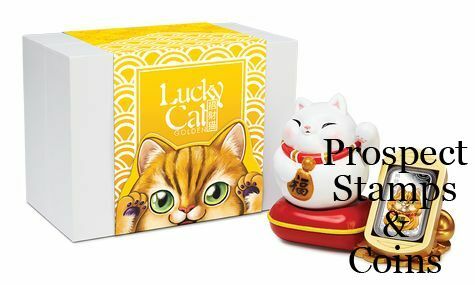 The Perth Mint will release no more than 3,000 of the Lucky Cat 2019 1oz Silver Proof Coin.